Cristiano Pacheco is an attorney, environmental consultant, partner at Cristiano Pacheco Environmental Consulting Ltda and environmental risk manager at Squadra Gestão de Riscos (Squadra Risk Management). Master in Environmental Law at Universidade de Caxias do Sul (UCS) where he attended as an institutional scholarship student, Specialist in Environmental Law from Universidade Federal de Pelotas (UFPEL), Undergraduate Degree in Social and Legal Sciences from Universidade Luterna do Brasil (ULBRA). Member in Ecological literacy, culture and jurisdiction: a foray into decision theories research group (UCS). Member of Centro de Direito dos Animais, Ecologia Profunda (Center for Animal Rights, Deep Ecology) – UFRJ/Cnpq, member of the Environment Commission of the OAB/RS (Brazilian Br Association of the State of Rio Grande do Sul) since 2003. Fellow Fundación AVINA (Geneva, Switzerland) and executive director of the Instituto Justiça Ambiental – IJA (Environmental Justice Institute) since 2008. He integrates the Environmental Platform of France Nature Environment (FNE) headquartered in Paris, France, for research on wood supply chain and timber market certification involving brazilian Amazon Forest and European Union market. Professional experience with contracts, compliance, legal responsability on supply chain, construction, industrial fishing, mining and environmental licenses in oil sector, worked for Siqueira Castro Associate Lawyers (merger with TNT/Mercúrio), Zandoná Mineração e Terraplanagem (mining) and as environmental consultant for Novartis Biociências S.A. 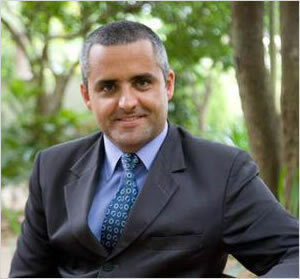 He is also attorney in several environmental class actions, one listed as a Historical Heritage of the Federal Court on the 4th Region due to its social and environmental relevance involved, made unique by a lawyer in Brazil (2006). Attorney in class actions involving Amazon Forest ecossistems, initiatives with international repercussions in vehicles such as Folha de São Paulo, BBC News London, The Independent, BBC News Asia, El Mondo, France Presse – FP, Associated Press – AP, Bloomberg Businessweek, Reuters, among others. He has taught dozens of courses and gave lectures in several States in Brazil and abroad. He is the author of several articles in books and national and international conferences. Today he dedicates on academic career and environmental consulting for companies. Cristiano Pacheco - All rights reserved.